A band of hostile aliens has infested your planet's nine space stations. The security of the entire solar system is at stake. It's up to you and your elite security force to destroy the alien pests and regain control of the space stations. 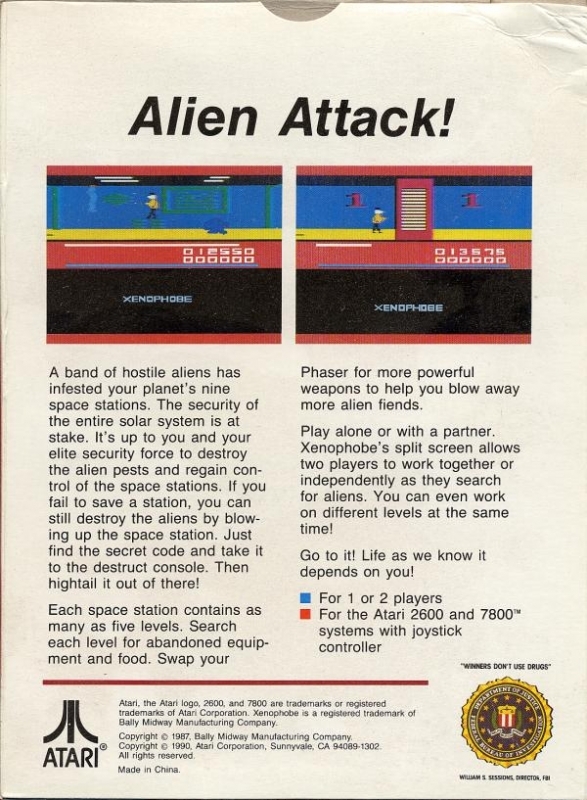 If you fail to save a station, you can still destroy the aliens by blowing up the space station. Just find the secret code and take it to the destruct console. Then hightail it out of there! Each space station contains as many as 5 levels. Search each level for abandoned equipment and food. Swap your Phaser for more powerful weapons to help you blow away more alien fiends!